Made me think of fire of icy flames. Weird and wonderful. Best. My comment got caught in rollover.... fiery good.. like a ballet even. 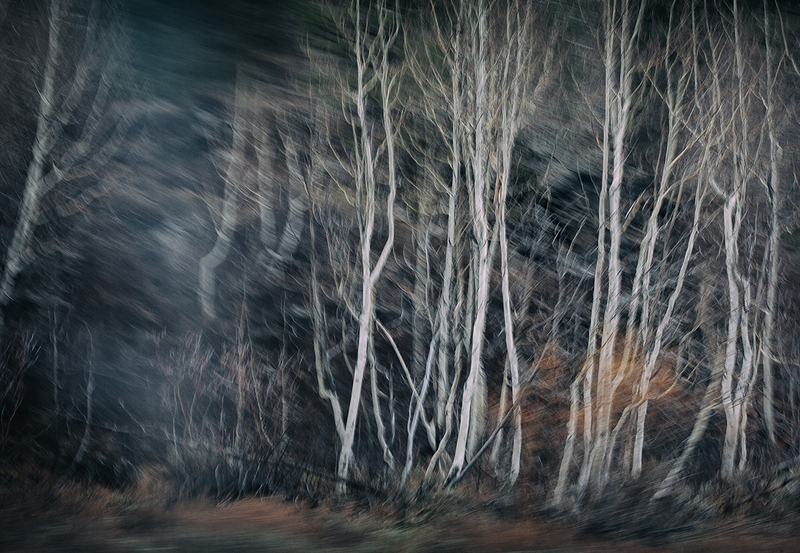 The blur and processing style work well on this one. Brilliant rendition, one of my faves. Beautiful abstract and the limited palette adds to the mood. Love this! Textures are great and the touch of reddish brown is just enough. Proudly hosted by Sargasso Networks. Current Server Time: 04/24/2019 09:49:51 PM EDT.